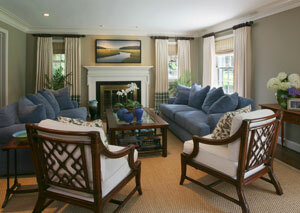 Kathleen McGovern Studio offers a complete range of interior design and home renovation services. We take pride in every project, from your initial project estimate to supervised and timely deliveries. We work with our fabricators and installers as a complete team of home renovation professionals in order to give you, our client, a finished product that you are happy to call home. We collaborate with our clients to prepare a project scope of work and are not limited to working within existing spaces. If you're looking for interior design or home renovation services to reconfigure your home, we can work alongside your contractors to achieve your goals. If you have questions or are ready to plan a home renovation project in Grosse Pointe MI or the surrounding areas, contact us today! leadership in energy and environmental design accredited professional (LEED AP) on staff.